NAFOA has elected two new members to its board of directors. The election results were announced on Tuesday, April 25, 2017 at the organization’s 35th Annual NAFOA Conference in San Francisco, CA. 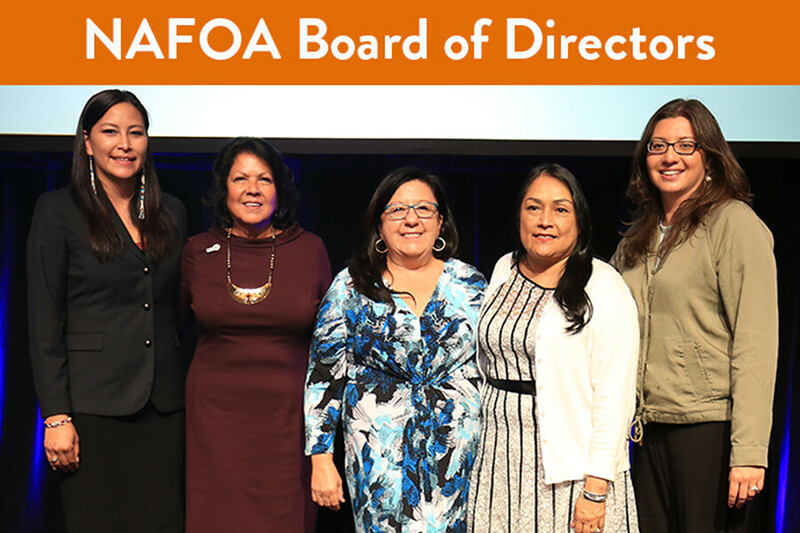 In a historic election, the NAFOA conference attendees and member tribes’ votes resulted in NAFOA’s first all-women board of directors. NAFOA is pleased to announce the following new board members who have been elected to serve a two-year term. Melanie Benjamin, is the Chief Executive of the Mille Lacs Band of Ojibwe. As Chief Executive, Benjamin is statutorily responsible for conducting external relations on behalf of the Band with all other governments and political subdivisions. The Chief Executive is also responsible for leading the Executive Branch of tribal government, which implements Band laws and programs. Benjamin earned an M.A. in Education from the University of Minnesota, Duluth, and a B.A. in Finance from Bemidji State University. Benjamin joined the tribal government in 1989, serving in the position of Commissioner of Administration which is the top appointed position in Band government. Benjamin has also served as Senior Vice President of Administration and Finance at Grand Casino Hinckley, and as Interim Director of the Pine Grove Leadership Academy. Benjamin has been active on many boards and organizations nationally and in Minnesota such as the American Indian Law Resource Center, the Minnesota Board on Aging, Women Empowering Women for Indian Nations, and the U.S. Attorney General’s Tribal Nations Leadership Council. Hattie Mitchell, CPA, CFE, is a Prairie Band Potawatomi Nation (PBPN) tribal member and served as the PBPN elected treasurer for its governing body - the tribal council from 2012 - 2016. As treasurer, her duties included cultural preservation, overseeing the tax department and the economic development efforts for the PBPN’s land department, which included leases, purchases, conservation work, and the buffalo program. Prior to serving as treasurer with PBPN, she worked for six years as an accountant for Security Benefit in Topeka, Kansas and for five years in gaming operations at Harrah’s Prairie Band Casino (now known as the Prairie Band Casino & Resort). Mitchell has also initiated a series of Will & Estate Planning Workshops for elders on the Prairie Band Potawatomi reservation and provided financial workshops to youth at the PBPN Boys and Girls Club. She most recently worked as the Director of Internal Audit for the Seneca Gaming Authority in Western New York. Mitchell holds a B.A. in Business Administration with an emphasis in Accounting and Finance from Washburn University. She is the Washburn Alumni Association’s 2014 Graduate of the Last Decade (GOLD) Award, which honors alumni who demonstrate leadership in career or civic endeavors and loyalty to Washburn. NAFOA’s board of directors steer the organization’s overall strategic priorities to lead and inspire in economic development and financial management and mentor future generations of leaders. Melanie Benjamin and Hattie Mitchell join current board members; President Cristina Danforth, 1st Vice President VaRene Martin, and 2nd Vice President Christina Jimerson.